If you have had an accident at work you may well be entitled to claim compensation for your injuries and losses. Your claim can be dealt with on a No Win-No Fee basis with no upfront charges so if your claim is not successful then you won’t have to pay us for the work we have done on your behalf. While your employer needs to take every step to ensure your safety, there is always a risk of an accident at work. machinery or equipment that is defective or broken. the negligent actions or horseplay of a colleague or work-mate. excess lifting causing an injury to your back. splashing from chemicals or from inhaling fumes and other noxious substances causing burns and discomfort. Cohen Cramer are experts are dealing with all forms of accidents at work and we can help you claim the compensation you deserve. We will claim compensation for your injuries; how much you will receive depends on their extent, how you have been affected and what, if any, long-term problems you are likely to have. We will obtain a medical report to make sure that we have all the information that we need to ensure you get the maximum compensation. 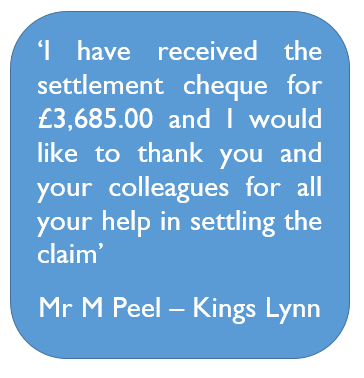 Your claim can be dealt with on a ‘No Win – No Fee’ basis, this means that if for any reason we are not successful then you don’t pay us a penny for the work we have done on your behalf. You have three years from the date of the accident in which to start your claim, subject to the courts’ discretion to extend this period in exceptional circumstances. However you don’t want to waste time as witnesses can get forgetful, documents lost etc so to get the most from your claim get in touch with us and we can get your claim started right away.